More veterinarians and dog parents are realizing dogs that lose a limb to cancer, injury or birth defects can survive — and even thrive — on three legs. What’s more, three-legged dogs show a resilience and determination that the rest of us can learn from. If you’re facing the heart-wrenching decision of whether to amputate your dog’s leg, are considering adopting an amputee dog or come across a dog missing a leg or with a severely injured leg, here are some ways to give tripod dogs a leg up. Jerry, the dog who inspired Rene Agredano and her husband to start Tripawds.com. Photography courtesy Tripawds.com. First, keep your pet’s best interests in mind. A dog with an injured or cancerous leg isn’t worried about looks or long-term impacts; he just wants to feel better. Once the painful limb has been removed, canine patients typically seem much more comfortable, says Dr. Coby Richter, surgeon at DoveLewis Veterinary Emergency and Specialty Hospital in Portland, Ore. Most owners report that their tripod dog resumes his regular activities after one to two months. “They can be happy on three legs,” says Rene Agredano, cofounder of Tripawds.com, an online community which provides information, resources and support to more than 14,000 members. 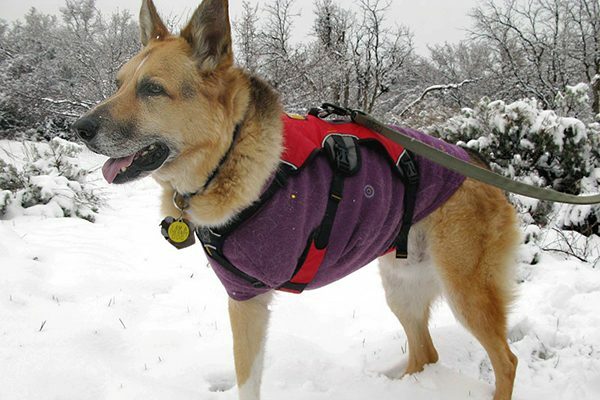 “They adapt so much better than we do, if we were faced with the same type of physical challenge.” Agredano and her husband, Jim Nelson, initially started Tripawds.com as a blog to update friends and family when their late dog, Jerry, was diagnosed with bone cancer in 2006. The Agredanos didn’t take the decision to amputate Jerry lightly. But after doing some research (including watching a video of a tripod Great Dane digging for gophers) they felt amputation offered Jerry the best way to enjoy the time he had left. Despite a four-month prognosis, Jerry lived for two more years. The trio spent that time traveling around the country in their RV. Agredano urges owners not to lose hope. 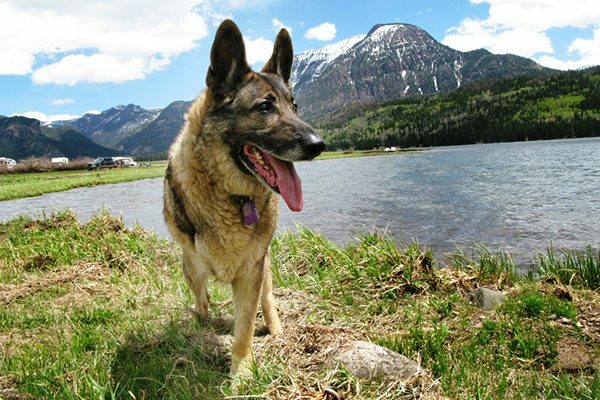 If the cost of surgery is a concern, the Tripawds Foundation (the organization’s charitable, nonprofit arm) offers an assistance program that will pay up to $500 toward the cost of an amputation to eligible applicants. Pave your tripod dog’s road to recovery with carpeting or other non-slick surfaces in your home where he can travel safely. Slick surfaces like wood can wreak havoc on a three-legged dog. Limit movement and supervise or crate your tripod dog until he gets his footing back. Tripawds dog Eisen after a Williams Creek swim. Photography courtesy Tripawds.com. Making sure your dog maintains a healthy weight is crucial, since added weight strains his remaining limbs, and strengthening the core is key. Playing games with balance discs or wobble boards are great ways to strengthen your dog’s stomach muscles. Another way to prevent additional injuries is by establishing a relationship with a veterinary rehabilitation therapist, who will show you how to protect and strengthen your tripod’s remaining limbs. To encourage rehabilitation, the Tripawds Foundation will pay up to $200 toward a dog’s first consultation with an accredited rehab therapist. If that’s not possible, read up on ways to help your tripod recover (check out Loving Life on Three Legs or Three Legs and a Spare). Considering Adopting a Tripod Dog? Think about your daily routine and how a tripod would fit into it. If you already have four-legged family members at home, you may need to walk your tripod separately. The four-legged dogs will have more endurance and want to go farther and longer. If you want a running buddy, consider getting a stroller. Amputee animals often get overlooked at the shelters. To inspire more people to adopt tripod dogs, the Tripawds Rescue Fund will reimburse owners up to $100 for the adoption fee if they adopt one from a 501c3 nonprofit shelter. A Tripawds dog in the snow. Photography courtesy Tripawds.com. If you come across a dog with a potentially broken limb, think about your own safety first, advises Dr. Ladan Mohammad-Zadeh, a critical care specialist at DoveLewis Veterinary Emergency and Specialty Hospital in Portland. Place a blanket under the dog’s broken limb for support and lift him carefully, keeping him restrained until he gets to the hospital, Mohammad-Zadeh says. Keep your human feelings in check when deciding whether or not to amputate. Most dogs adapt very quickly after surgery. Stay positive. Your dog will take behavioral cues from you. If the veterinarian says your dog is not a good candidate for surgery and suggests humane euthanasia, get a second opinion. Create “no-slip zones” in your home where your dog frequently travels. Make sure your dog maintains a healthy weight. Excess pounds can strain joints and put dogs at risk for injury or other health issues. Monitor your tripod’s activity levels and watch for signs of fatigue. 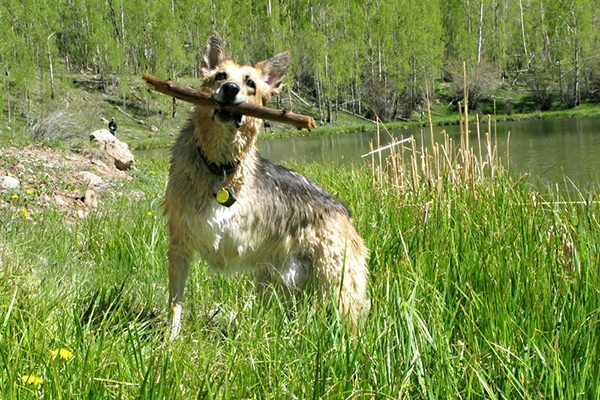 The post How to Care for a Three-Legged Dog appeared first on Dogster.